Hyperbaric Oxygen (HBO) therapy helps wound healing by bringing oxygen-rich plasma to tissue that is starved for oxygen. Wound injuries damage the body’s blood vessels, which release fluid that leaks into the tissues and causes swelling. This swelling deprives the damaged cells of oxygen, and tissue starts to die. HBO therapy reduces swelling while flooding the tissues with oxygen. HBO therapy prevents “reperfusion injury.” That’s the severe tissue damage that happens when the blood supply returns to the tissues after they have been deprived of oxygen. When blood flow is interrupted by a crush injury, for instance, a series of events inside the damaged cells leads to the release of harmful oxygen radicals. These molecules can do irreversible damage to tissues and cause the blood vessels to clamp up and stop blood flow. HBO therapy encourages the body’s oxygen radical scavengers to seek out the problem molecules and allow healing to continue. HBO therapy helps block the action of harmful bacteria and strengthen the body’s immune system, and can disable the toxins of certain bacteria. It also increases oxygen concentration in the tissues to help them resist infection. In addition, the therapy improves the ability of white blood cells to find and destroy invaders. HBO therapy encourages the formation of new collagen (connective tissue) and new skin cells. It does so by encouraging new blood vessel formation. It also stimulates cells to produce certain substances, like vascular endothelial growth factor. These attract and stimulate endothelial cells that are necessary for healing. Hyperbaric oxygen (HBO) is a type of therapy used to treat a variety of conditions ranging from carbon monoxide poisoning and radiation injury to stubborn wounds and infections in which tissues are starved for oxygen. Patients undergoing this therapy enter a special chamber to breathe in pure oxygen in air pressure levels 1.5 to 3 times higher than average. The goal is to fill the blood with enough oxygen to repair tissues and restore normal body function. HBO therapy was first used in the U.S. in the early 20th century, including in the 1940s when the U.S. Navy used hyperbaric oxygen to treat deep-sea divers who had decompression sickness. By the 1960s, the therapy was also used to combat carbon monoxide poisoning. 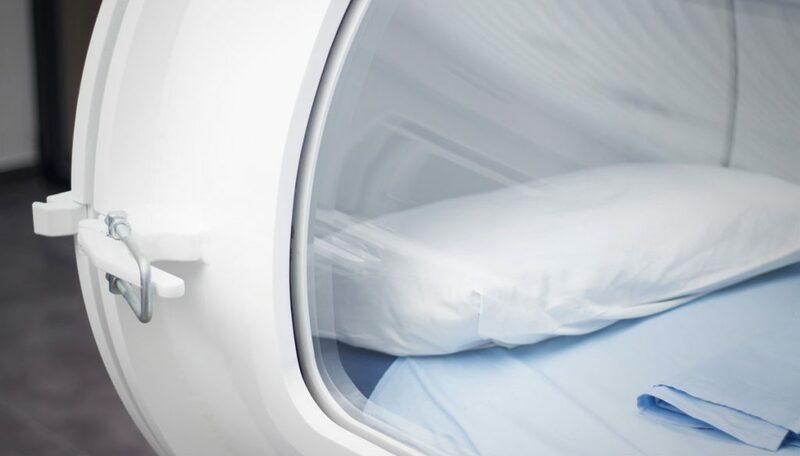 Medicare, Medicaid and many private insurance companies generally cover hyperbaric oxygen therapy for these conditions, but may not do so in every circumstance. Check with your insurance plan before treatment.